Even more troubling is that Brunne’s ecclesiastical superior, Archbishop Antje Jackelen, is mute on the matter. Is silence the only response Jackelen can muster when her subordinate proposes nothing less than the gutting of Christianity’s most potent symbol? Is this the best that the professional ecclesiastics can offer? Brunne’s proposal, while ostensibly a gesture of accommodation to faiths other than her own, is nothing less than the collapse of Christianity within her church. Her bishop’s silence towards the proposal indicates that the leadership in her church is incapable of defending the faith once delivered to the saints. To understand how this works we have to return to what the symbol of the Cross in fact expresses. Jesus said, “whoever does not take up his Cross and follow me is not worthy of me” (Matthew 10:41). The Apostle Paul wrote, “For Christ did not send me to baptize but to preach the Gospel and not with words of eloquent wisdom, lest the Cross of Christ be emptied of its power. For the word of the Cross is folly to those who are perishing, but to us who are being saved it is the power of God” (1 Corinthians 1:17-18). These are plain declarations. They reveal that the Cross consitutes the self-identity and purpose of the Christian. The Cross is a symbol but in the Greek, not English, meaning of that term. Symbol is the place where two realities converge, a place where a deeper reality interpenetrates with the mundane, every-day one, the meaning of which can be comprehended and even experienced through contemplation of the symbol. The Cross re-presents the core of the Christian gospel (in Greek, “evangelion”), that Jesus Christ became man, was crucified, and rose on the third day. Death has been overthrown. The devil, thinking he was receiving a body when Christ was taken down from the Cross, was confronted with God. His power was crushed. Mankind, chained to death and living perpetually in fear of it, was set free. Brunne’s rejection of the Cross is not simply an expression of toleration of other faiths in the religious marketplace. It is a complete collapse of the Christian faith among the leaders appointed to defend it. Without approaching the reality of the Cross, a person cannot get get to the reality of the empty tomb and the freedom that it offers. Brunne and her compatriots have emptied the Gospel of all power by hiding the symbol that explains and expresses it. Without the message of the “Good News” as expressed through the symbol of the Cross, the Christian is presented with a faith other than Christianity. The victory that we experience in Christ, has been excised and exiled from the Christian Church when the Cross is removed. 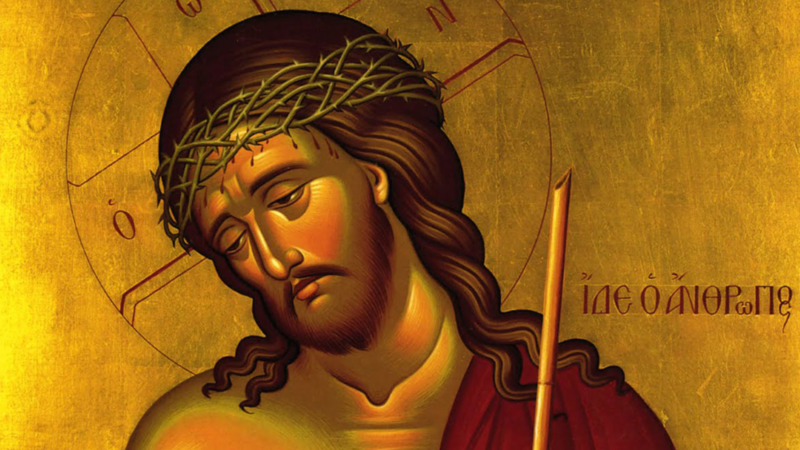 In the Byzantine liturgical texts, the Hymn of the Resurrection proclaims, “We venerate Your Cross, O Christ. . . for behold, through the Cross joy has come into all the world.” The symbol of the Cross is self-defining. Its implications are clear for anyone who who ponders it with a heart oriented towards clarity and truth. Brunne no doubt would excise that hymn for being insensitive to other faiths thereby precluding any hope it offers. The Cross is the locus, the centerpoint, of salvation — the symbol and place where one enters into the depth and reaches of the death and resurrection of the Son of God. The significance of the Cross is unfathomable (not the same thing as unknowable), and its absence inconceivable to even the most marginal Christian who possesses nothing more than a superficial understanding of his faith. On the eve of the Battle of the Milvian Bridge on the outskirts of Rome in the year 312 A.D., the Emperor Constantine had a dream in which he saw a vision of the Cross in the sky with the words written in Greek, “In this sign you shall conquer.” With this divine prompting the Roman pagan removed the Imperial Roman eagle from the standards and shields of his army and replaced it with the sign of the Cross as they prepared for battle and onto subsequent victory. This event paved the way for the Christian message to be proclaimed in the Roman Empire and throughout the world. 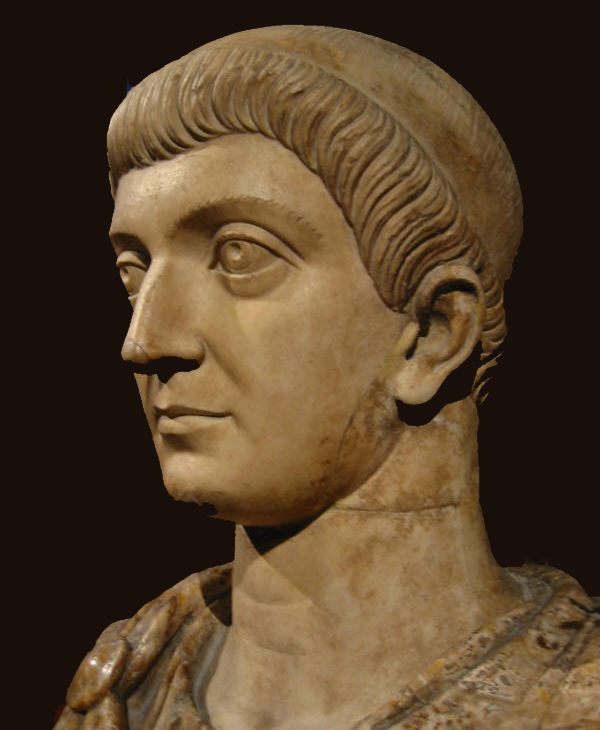 Constantine’s decision is being undone today by the leaders charged with guarding the inheritance. The leaders of the Christian churches are removing the Crosses willingly, not the “secular world” as represented by the state. It’s an internal gutting of the first order without help from “the world” and the ensuing irrelevancy and impotance is heralded as compassion and progress. Sadly, the more the leaders dilute the “Good News” message, the more a person becomes estranged from reality and the healing that the Gospel provides. It shifts a person’s focus onto himself and not onto the Person of Jesus Christ; a descent into the captivity of narcissistic self-obsession instead of ascending into the freedom of Christ as the writer of Hebrews taught, “looking to Jesus, the founder and perfecter of our faith, who for the joy that was set before Him endured the Cross, despising shame and is seated at the right hand of the throne of God” (Hebrews 12:2). By removing the Cross from the space of worship, we parch that sacred space and make it mundane. Church becomes no different than entering a WalMart or McDonalds. Refusing to lift up the Cross, the Church of Sweden tragically deprives the people of the diversity they claim that their action preserves. Brunne’s action would be inconceivable to the Apostles and early Church Fathers. They would never have removed the Cross from a Christian church. Even the eighth century iconoclasts, after banning and removing icons from the churches for over a century, still kept the symbol of the Cross. This is not rocket science. If you take away the symbol, you destroy the message. In a way Brunne and her fellow travellers are the iconoclasts of a New Age. Instead of banning icons they want ban the central symbol of the Christian faith. Their actions threatens more than a distortion of the Christian faith, however. They seek the eradication of the Christian faith altogether. But what about the Christians who passively sit by? “When the Son of Man comes, will He find faith upon the earth?” (Luke 18:8). That question is for us to answer. John G. Panagiotou is a contemporary Christian theological writer who is a graduate of Wheeling Jesuit University and St. Vladimir’s Orthodox Theological Seminary. He can be reached at johnpan777@gmail.com. She is an iconoclast as her denomination has been almost from its inception. Such an act should surprise no one. Neither is it the first act of apostasy, her own ordination is just one such sign. Still Martin Lither is likely aghast.